A good twist is worth remembering again and again. These will stand the test of time. Television can offer magnificent surprises early, often, and anywhere in between. From series and pilots built around an unpredictable twist to moment-by-moment developments that’ll knock you for a loop, time is on TV’s side — and yours. Great thrillers, mysteries, and other dramatic fair can deliver shocking moments on the regular, while more and more comedies are also getting in on the risk/reward ratio benefitting those who know how to play the odds. If fortune favors the bold, then consider what’s below a list of the boldest television auteurs (or at least their boldest gambles). Limiting it to 25 slots, IndieWire has culled the most shocking moments and best twists of the 21st century (so far). Each selection is indisputably memorable, meaningful, and — hopefully — not too morbid. Death can often be a surprise, so some of the selections below steer away from the sudden departures and look at other scenes with equal impact. If any twist or shocking moment is missing, let us know in the comments section, but before you scan the list know this: The below descriptions contain spoilers. While everything in bold and in photographs is safe to see, only those who want the truth need read further, or risk having some of television’s most unexpected delights ruined for you. It would’ve been a bigger twist if Season 1 of “Mr. Robot” hadn’t ended with a Tyler Durden moment. While the show didn’t necessarily need to ask the same kind of season-long question in its follow-up, the answer of who was knocking at the door to Elliot’s apartment got revealed in spectacular fashion halfway into Season 2. Yes, many fans had anticipated the reveal that Elliott was actually in prison. But the way the show melted away Elliot’s facade was still an impressive way of reframing everything that had come in the seven hours prior. At the very least, it’s notable for being a twist that arrives with a direct apology to the audience: Elliot saying, “I’m sorry for not telling you everything. But I needed this in order to get better. Please don’t be mad too long,” is a bit of self-awareness that ultimately made the later Leon developments. Imagine a world gone insane, indeed. “Orphan Black” was a series that, for five seasons and 50 episodes, thrived on twists. Enemies became partners, every character had a secret, and even the shadowy organizations behind the show’s central conspiracies would shift. Among the show’s shocks were the death of Dr. Leekie at the unlikely hands of bumbling suburban dad Donnie; the reveal that Delphine, Donnie, Paul and others were actually monitors; and the fact that Mrs. S knew about everything from the start. But perhaps the show’s biggest twist came early on, in Episode 3, when Sarah Manning (Tatiana Maslany) — and the viewers — were let in on the show’s central premise: That the “Orphan Black” lookalikes, all played by Maslany, were clones, and part of a massive experiment. From there, the mystery of how Sarah witnessed someone who looked just like herself commit suicide was revealed, but the “why” wouldn’t come for another several seasons, as part of yet another twist. “True Detective” began and remains a very bleak show. 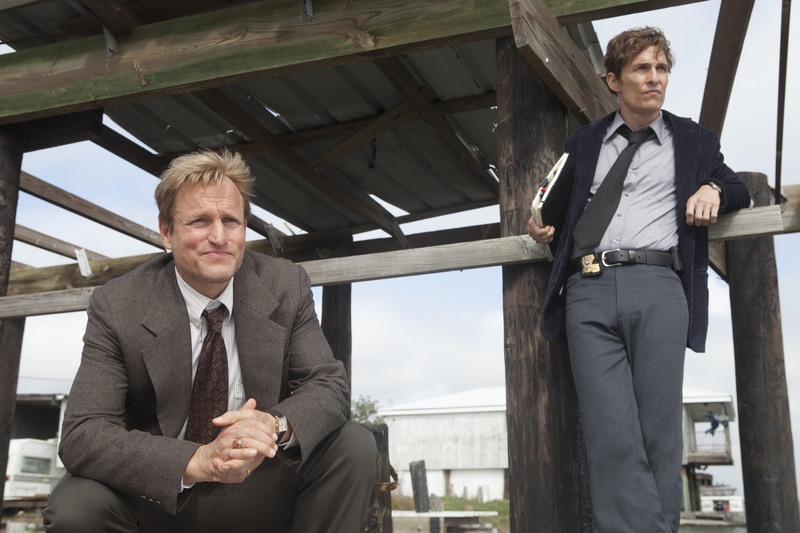 In its first (stellar) season, Marty Hart (Woody Harrelson) and Rust Cohle (Matthew McConaughey) were assigned a homicide case involving a 28-year-old prostitute who was discovered with a crown of deer antlers on her head and twig sculptures resembling bird traps around her body. The case itself was dark enough, but the pair of cops investigating it wasn’t much brighter. Though Marty cracked a lot of jokes, he was also a heavy drinking adulterer with an affinity for strip clubs and strong words. Rust, meanwhile, wasn’t invited to many parties, on account of his cold regard for the living and an eerie acceptance of death. So that these two made it out of the eight-episode, decades-spanning investigation alive, well, that’s something of a small miracle. Nic Pizzolatto and Cary Joji Fukunaga somehow crafted a story steeped in melancholy and loss, yet found an extremely satisfying way to wrap things up without losing either of the leads. Just as Cohle stared up into an inexplicable spiraling vortex near the finale’s climax, so too did audiences stare in wonderment at a twist ending that doubled as a relief: If you look at the dark sky just right, you can see that the light’s winning. River Song (Alex Kingston) had been introduced during the David Tennant era of “Doctor Who” as a fellow time traveler who’s out of sync with the Doctor: their first meeting is actually the last time she’s met him. The badass companion and eventual wife of the 11th Doctor (Matt Smith) always had an air of mystery about her since her origins were largely unknown, and in true timey-wimey fashion, her ancestry was far from predictable. Although she is chronologically older than married companions Amy Pond (Karen Gillan) and Rory Williams (Arthur Darvill), it’s revealed that she is in fact their daughter, conceived in the TARDIS while it was in the time vortex, and thus she carries Time Lord DNA. In a fun linguistic twist, her name River Song is a recursive translation of Melody Pond in the language of the Gamma Forests, which doesn’t have ponds, only rivers. This parenting revelation not only gave River a fantastic backstory, but it also changed the dynamics between the Ponds and River, and even the Doctor, who basically became their son-in-law. Death is a fact of life in “The Walking Dead,” and yet there have been plenty of shockers over the years. Sasha, Beth, Hershel, Lori, Andrea, Abraham, and so many others, went out in sometimes unexpected and surprising fashion — especially when those deaths greatly deviated from the “Walking Dead” comics, like the early exit of Andrea. And then there was the case of poor Glenn Rhee, who appears to die in Season 6, but survives — only to succumb in the most brutal fashion imaginable at the start of Season 7. But perhaps the most surprising moment is a recent one: the finale of Season 8, in which it’s revealed that Rick’s son Carl has been bitten in the abdomen by a walker. Carl isn’t yet dead, but a bite like that is fatal. Carl (Chandler Riggs) was believed to be one of the few characters on the show who was likely safe from harm (he already lost an eye, after all) — especially since he was seen in the season opener’s flash forward, and is still alive in the comic. Riggs, himself, appears to be shocked and disappointed by the decision. But after eight seasons, it’s a credit to “The Walking Dead” that the show can still find new ways to surprise. Death can be a pretty harrowing twist, taking a character right out of a show at an unexpected moment. 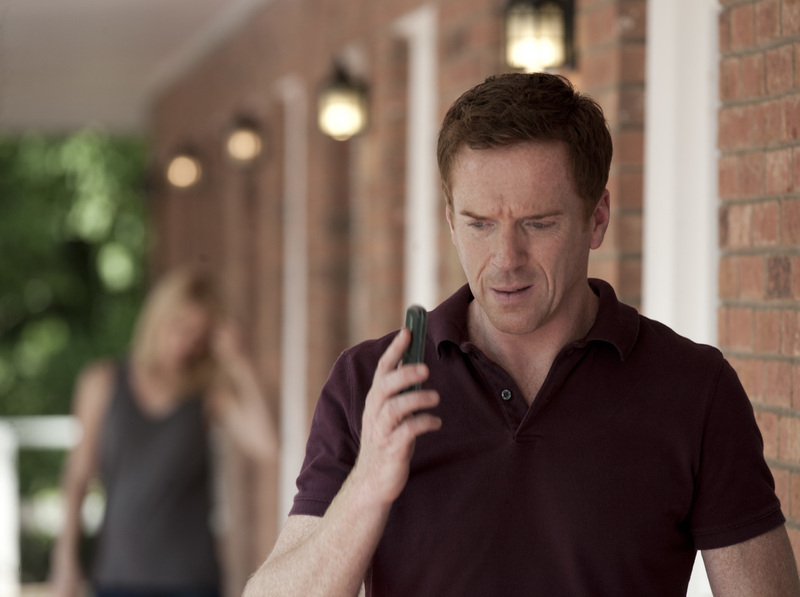 At the height of its popularity, it may not have been the biggest surprise that “Homeland” would want to keep an Emmy-winning co-star on board. But that bomb vest reveal, paired with the idea that Brody would have a change of heart and not go through with his undercover mission made for a shocking end to a fascinating, roller-coaster season. Keeping Brody alive set the table for another mammoth shift for the show, when a heat-of-the-moment decision finds Carrie telling him she knows he’s a spy. In true espionage fashion, it wasn’t the things that the characters said but their physical reactions to them that made them indelible. The eyes of those two, not to mention Saul and Quinn, tell it all. 19. “Hannibal” – Guess Who’s On the Plane? Not one but two shocking “Hannibal” season finales featured Gillian Anderson in the final moments, but we’re picking Bedelia du Maurier’s surprise reappearance at the end of Season 2, in the episode “Mizumono,” because of how it twisted everything we were expecting from Season 3. Before, we were anticipating that Hannibal Lecter (Mads Mikkelsen) would be on the run following his bold escape from the blood-soaked action of the final act, but now the game was changed. Now, he was traveling in style, and he’d even seemed to “get the girl.” It raised real questions about what we might expect from the always fascinating drama, and set the standard for what to expect going forward. Sure enough, someone ultimately did in the second-to-last Sorkin-penned episode of the series, “Commencement,” which led to the ultimately shocking choice in the season finale, “Twenty-Five,” to witness Bartlet surrender his post as, y’know, the President of the United States, to Speaker of the House Glen Allen Walken (John Goodman). Zoey’s fate, as well as the nation’s, was left to Season 5 (and a different showrunner, as Sorkin had just left the show) to discover. Some twists can ruin shows. Some define them. And for “Fringe,” no twist better explained what was going on with the Fox sci-fi drama than the Season 1 finale, when Olivia Dunham (Anna Torv) gets whisked to a parallel world… and as she encounters the mysterious figure who’s the reason she came, the camera pulls out to reveal that she’s inside an office within the original World Trade Center — which is, in the year 2009, still standing. This moment, it’s been argued, is exploitative and/or insensitive to the fact that 9/11 remains a semi-visceral wound for America, especially those living in New York City at that time. But there’s no denying it was a game-changing, visual, and visceral moment for the series.